Unless otherwise set forth by us in writing, you are receiving a single user account solely for your use of the Service through one unit per login session. You agree not to resell any aspect of the Service, whether for profit or otherwise, share your IP address or ISP Internet connection with anyone, access the Service simultaneously through multiple units or to authorize any other individual or entity to use the Service. You agree that sharing the Service with another party breaches the Agreement and may constitute fraud or theft, for which we reserve all rights and remedies. You have no proprietary or ownership rights to a specific IP or other address, log-in name, or password that you use on our network. We may change your address, log-in name or password at any time. We will assign you an IP address each time you access the Service, and it will vary. You shall not program any other IP address into your Unit. You may not assign your log-in name, password or IP address to any other person or Unit. You agree that we may access your unit and information stored on it (such as drivers, software, etc.) to troubleshoot issues related to the unit or network; enable, operate and update the Service and software; investigate activity that may be in violation of this Agreement; or to comply with law. You agree not to use the Service, the Hot Point network or website, or your Unit for any fraudulent, unlawful, harassing or abusive purpose, or so as to damage or cause risk to our business, reputation, employees, subscribers, facilities, or to any person. Improper uses include, but are not limited to: a. violating any applicable law or regulation; b. Posting or transmitting content you do not have the right to post or transmit; c. Posting or transmitting content that infringes a third party's trademark, patent, trade secret, copyright, publicity, privacy, or other right; d. Posting or transmitting content that is unlawful, untrue, stalking, harassing, libelous, defamatory, abusive, tortious, threatening, obscene, hateful, abusive, harmful or otherwise objectionable as determined in our sole discretion; e. Attempting to intercept, collect or store data about third parties without their knowledge or consent; f. Deleting, tampering with or revising any material posted by any other person or entity; g. Accessing, tampering with or using non-public areas of the Service or any Hot Point website or Hot Point's computer systems and network; h. Attempting to probe, scan or test the vulnerability of a system or network or to breach security or authentication measures; i. Attempting to access or search the Service or any Hot Point network or website with any engine, software, tool, agent, device or mechanism other than the software and/or search agents provided by us or other generally available third party web browser; j. 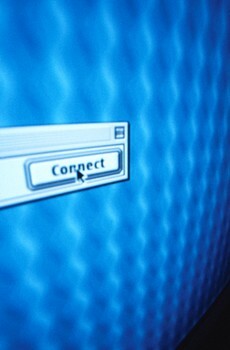 Sending unsolicited messages, including without limitation, promotions or advertisements for products or services, "pyramid schemes", "spam", "chain mail" or "junk mail"; k. Using the Service or any Hot Point website to send altered, deceptive or false source-identifying information; l. Attempting to decipher, decompile, disassemble or reverse engineer any of the software comprising or in any way making up a part of the Service or any Hot Point website; m. Interfering or attempting to interfere with the access of any user, host or network, including without limitation, sending a "virus" to the Service or any Hot Point website, overloading, "flooding," "spamming," "crashing," or "mailbombing" the Service or any Hot Point website; or n. Impersonating or misrepresenting your affiliation with any person or entity. If we suspect violations of any of the above, we will investigate and we may institute legal action, immediately deactivate Service to any account without prior notice to you, and cooperate with law enforcement authorities in bringing legal proceedings against violators. You agree to reasonably cooperate with us in investigating suspected violations. If we suspect violations of any of the above, we will investigate and, where appropriate, we may institute legal action, immediately deactivate Service to any account without prior notice to you, and cooperate with law enforcement authorities in bringing legal proceedings against violators. You agree to reasonably cooperate with us in investigating suspected violations.